Merciful Father, You know how difficult these days are for me. In Your holy Word You have promised to hear those who cry unto You in the day of trouble. Listen to my cries for mercy and send me help from the sanctuary of Your grace. Preserve me from bitterness of spirit and rescue me from every temptation to despair. Calm my frustration with the knowledge that my life is secure in Your redeeming love, for I am baptized into the death and resurrection of Your Son. Draw me out of self-centered worry, which stifles faith, and cause me to take comfort in the great and precious promises that You have made to me and all believers in the Gospel. Sustain and strengthen me under every cross and affliction, that Your grace might be made perfect in my weakness. Give me confidence to pray without losing heart and to trust in Your mighty deliverance according to Your good and gracious will. Father, into Your hands I commend myself. Hear me, for the sake of Your Son, who alone is my Brother and Savior. That is a beautiful prayer, and one that I am praying for myself. 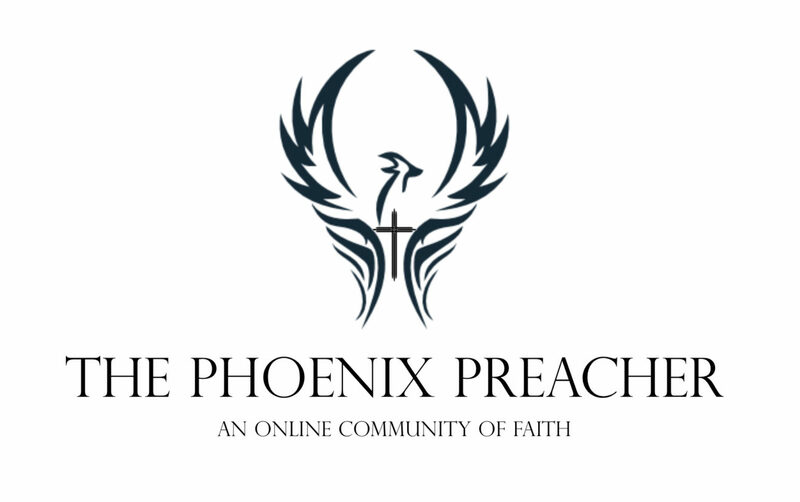 For all of us here at the Phoenix Preacher, and for all those we know and love, Lord have mercy, Christ have mercy, Lord have mercy. I’d appreciate prayer. I’ve been sick for over a week and they haven’t been able to figure out what it is. Apparently some kind of weird infection I picked up over in Vietnam this month, or somewhere else. Thanks for praying. Good morning Pastor Dave. Praying for you right now. Dave and CK:Praying for you now. Adding my prayers as well. May God be gracious. and for God to minister to your spirit generously during this time. and unity in the body in as much as Christ has called us to unity. that He would lead us in paths of righteousness for His names sake. Amen to the above petitions to the throne of God. Not every climb has a resting place, Lord. We need Your hand. We need more of Christ. Oh Lord, we are so needy.We need to hear Your voice of love and encouragement from unexpected places. Suprise us Lord with the sure sweetness of Yourself. Help us to know that we’re moving closer to You even though it seems Satan is throwing everything he’s got at us at times. Father, Son and Holy Spirit, You who are God and worthy to be – we look to You and praise what You’ve shown us of Yourself. My climb is almost finished, I don’t know what’s over the next rise, but where I sit now He is so real and so sweet that I almost want to “cross over,” to be closer to Him. I pray for all to find a resting place where your minds and bodies allow your spirit’s senses to bring His joy. It can be darn black here, if fact, it is not a wonderful world without Him – almost the whole world is in pain right now; pain or denial of reality. Thankful to find you all again…searched all week. PP.net…now I know. Joining in prayer. God bless you all. mk…so sorry, I’ve been distracted! I should have sent you a note…I thought I had! Psalm…it is really good to have you here. Check the eosinophils in the WBC’s. Lab ranges are normal up to 7. Parasites can be present with 3.
how is your boy’s hand? I need prayer. I am at my mother’s 4 hours from home and my back, oh my. I am in PAIN. praying for DMW. was he released to go home, how is he feeling, how is Debbie doing, praying they are resting in the comfort of the Lord. Praying for SisterD and for John and Debbie…. jlo…how are you? Are things any smoother this week? Praise God for what He’s doing through you guys in Mexico! Sarah, thanks for asking, we are having good days and bad days, the eldest still refuses to speak with me. Last night was a bad one, I’m waiting on the Lord before sharing any details, I want to give God time to work on each of us. Steve…very cool. Will be praying. jlo…I’ll spend some time in prayer for you tonight. Praying for a breakthrough with the eldest and for God’s Spirit to be present in your home. Praying for our good Father to be gracious to you and your husband today and to bring healing and unity…. Thanks Sarah, much appreciated. I’ve come to a place where I’m done worrying about it, which is a good thing, I’ve left it in Gods capable hands. I’m trying to listen as He prepares me for the next leg of my journey. To Centy and others who might be interested: I want to thank God for making certain that I passed the first Teacher Performance Assessment(TPA#1). I needed a three or four to pass, four being tops. Thanks be to God, I got a 3!!! I’m now nearly finished with TPA#2 and having LOTS more fun with it than with the first one. I am SO grateful! Steve…..sounds fabulous! I’d love to be a part of such a ministry when I’ve got all the teaching stuff out of the way. Thanks for sharing such a wonderful event. God IS good! Kat, congratulations!!! You go girl, you should be very proud of yourself. Wanted to share that our daughter visited the doctor today and her pregnancy seems safe. She had a tubal pregnancy before and lost the baby so her left ovary is no good. The baby is on the right side and the doctor says all seems well. We’re praying for a healthy baby and for our daughter to turn her heart back to God. Praying God would meet every need expressed on this board. God bless! Psalmy, I’ve gotta say you are one tough cookie, and deeply inspire me, (you all do here)Praying for you today as you deal with your “grown up things”. It boggles my mind how the Lord keeps me, and provides in my own wilderness of life.. Unreal. Just to second Xenia’s comments to you the other day..the “netbook” is definitely user friendly, and I just got one myself… simple and portable. Kat…WAY TO GO!!! Congrats..,whew!! Off to go walking and will be praying for this family. For London, I mean prating. 😉 maybe it’s a new word for pray and knit..
psalm62, praying for you and praising with you. It’s a blessing to read your postings, you bring much to the table. I pray that God will blind satan and his minions to our prayer needs here. That He will blanket us with holy protection as we call out for one another and petition our deepest needs and requests. Work in our lives is a mighty way. Encourage us with Your works in our lives and srengthen us to storm the works of evil with mighty prayer that they be turned to good and growth. Lord, Your children who love You are distracted and worn, help us, please. We feel heavy and uncertain. Our children, parents and friends are all pulling at us. Thank You that You are our hiding place. Where we can run and find help and hope. Hover, Lord, closely, please. I could use some prayer….Cash and Captain Kevin as still not feeling well…please pray for them as well. Dusty, praying for you now and sending (((hugs))) your way. Praying for Cash and Captain now too, as well as the other requests that have been posted this past week. prayers for Cach, CK, and Dusty. quite today, praying as the Spirit leads. give us joy in knowing You, Lord… strengthen us with faith that You only can provide for us… Father, Son and Holy Spirit thank You for Your gracious provisions.